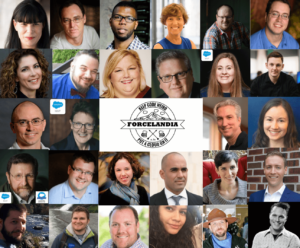 We are now accepting proposed session abstracts for the 5th Annual Forcelandia! What are we looking for? Speakers that are passionate about their expertise and want to share it with our community! We are planning on sessions that are around 40 minutes and looking for topics of interest to all levels of developers, from beginning Adminelopers to System Architects, covering areas such as Lightning Components or System Design, Heroku, IoT, Testing… come up with anything that you have experience with that can you can share to help grow our community. Never spoken before? Then consider co-presenting, and know that we are happy to work with you to get your presentation in tip-top shape! In the developer community, we are in a constant state of learning, and this is no different. We are sending out Speaker Submission Acceptances on a rolling basis so the earlier you get in your submissions, the better your chance, until our open slots are gone! I Want to Speak at Forcelandia! Just fill out this wee form, and let us know about your session idea.